I went to the Salvation Army on Saturday in search of frames. 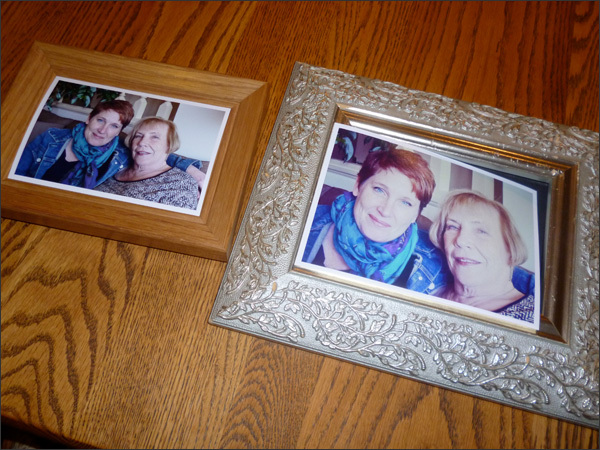 I want to update one for my Mom as part of her Mom's Day gift. My Dad recently took a lovely photo of us which is perfect for framing. These are the frames I found. 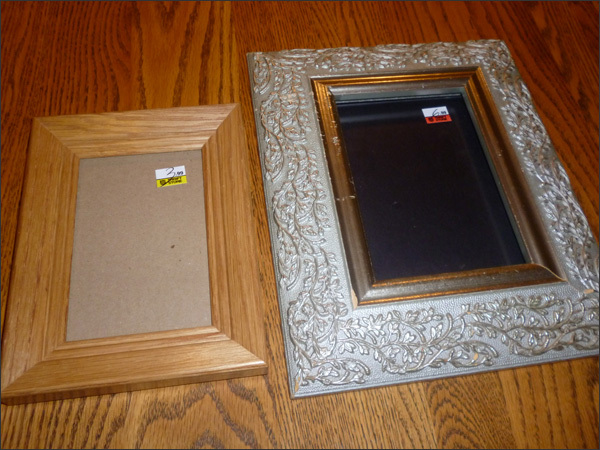 A basic wood frame for $3.99 and a lovely ornate one for $6.99. I love the detail in the ornate frame. There are some chunks missing from the frame but once I paint it no one 'should' notice. Yesterday morning I ordered prints from London Drugs. 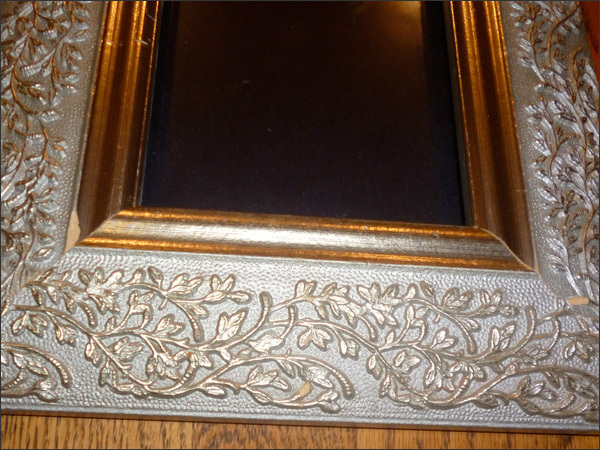 Next is to paint the ornate frame. I may just sand the plain wood frame and then stain it. 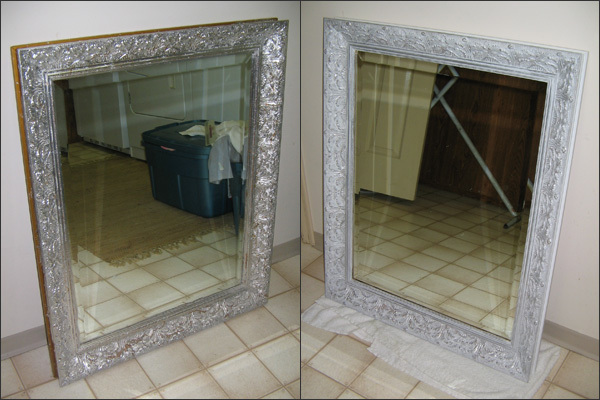 I'm super excited about refinishing this frame - it's going to look gorgeous!! 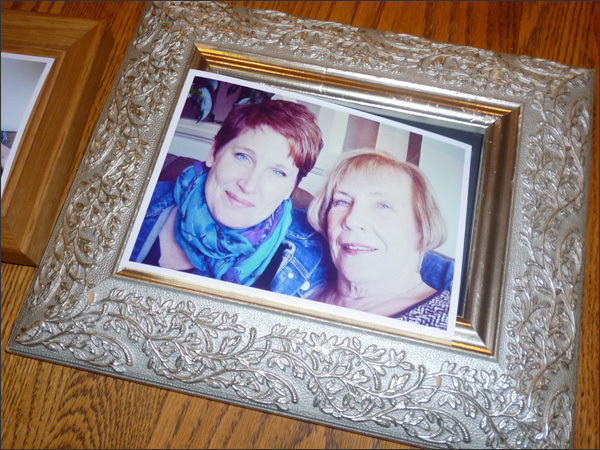 I want to finish it like this frame - add a white wash over top of the silver. This was a mirror a friend gave me. 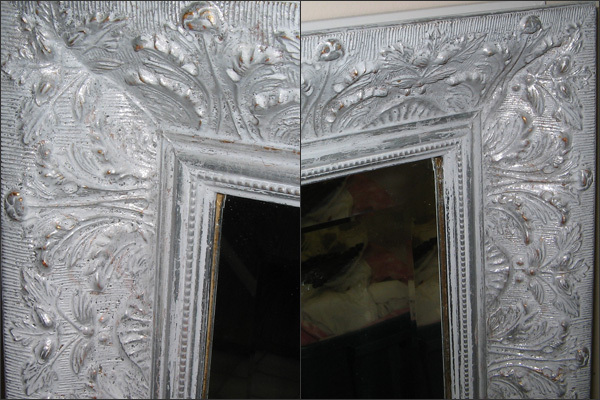 It had a silver leaf finish that was a bit too much so I painted the sides a solid white then rubbed a layer of white paint into the surface to give depth and to soften the details. This is one of my very favourite pieces! 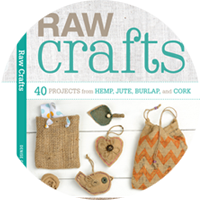 This should be an easy peasy update and hopefully my Mom will like it. I already have the sappy card and just need to pick up the voucher for a pedicure. Love my Mom!